In the early 90s, you could apply for a job by visiting companies and filling out an application or providing a resume. Does that happen anymore? No – because the internet disrupted this method of talent acquisition by giving both employers and employees far greater access to opportunity. The internet freed us from the geographic restrictions that existed when I was a kid. Fast forward a decade and large employers needed to use application tracking systems to manage the hundreds of applications they receive online for every vacancy. The tremendous increase in applicants means potential employees need to do more (network for referrals, demonstrate culture fit) to stand out. Employers learned that culture fit is incredibly important and, with the high cost of finding replacements, looked for ways to determine fit before hiring an employee. Now, social media and LinkedIn are disrupting the old resume-based talent acquisition model. Through LinkedIn, employers get the resume along with an understanding of the potential employee’s network, mutual connections, online presence, endorsements, recommendations/referrals and their personal brand. The LinkedIn profile paints a much clearer picture of a potential employee’s fit with the culture of an organization. 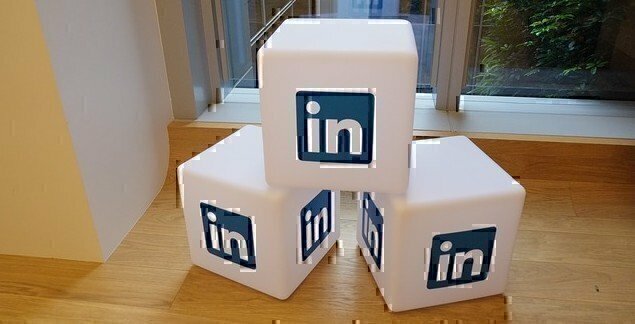 LinkedIn is similarly powerful for job seekers. Not only does it identify job vacancies around the world, strong networks can share opportunities, give referrals and provide mentorship. A strong personal brand (supporting your objective) greatly supports your job search and allows recruiters from around the world to find you. Many people understand the value of LinkedIn, yet need help navigating the platform, building their profile and developing their personal brand. I developed this “Cheat Sheet” to give everyone, regardless of social media experience, the ability to develop a personal brand and access the economic opportunity that LinkedIn provides. It is almost a step-by-step guide for setting up a profile with some advice for personal branding. Keep in mind that your profile is a “living” document and should be updated or changed as events occur throughout your career. Also note that your brand is enhanced through interaction and the sharing of insight with others. Stay active, stay engaged and the sky is the limit! Photo. This photo should a simple head-shot in clothing associated with the industry/role you are looking for. Smile and look dependable – don’t make it look like an angry/bland military service photo. There shouldn’t be anyone else or a distracting background in it, but it doesn’t have to be boring. Add some background color, texture or non-distracting images to improve your photo. Have someone take it for you because selfies always look like selfies. NOTE: Pictures that add to your brand or demonstrate skills can be uploaded in other areas of your profile. Background photo. Adding a background photo makes your profile look more professional and demonstrates you’ve put the time in to learn. Google “LinkedIn background images” and find the image that speaks to you and your next career. Save it to your computer and, from your profile page, add it to your profile by clicking the “Update background photo” link to the right of your photo. You can see the link on the picture above. Headline. Your headline should speak to your career, not necessarily what you do now. I recommend you make your headline the position title (an actual position you’d find on a job posting) you desire, followed by a “|” to separate thoughts, then a few words that really speak to your strengths. You can look at mine or others in your desired field for examples. Keep in mind that your headline features prominently on the platform and, if done well, can draw the attention of potential employers. Developing the right headline is not easy, so do your best and expect to change it along the way as your brand develops.